Aaahhh.... Life in the Beautiful Napa Valley... Sipping Wine, Eating World-Class Food, Watching the grapes ripen on the vine... That's how most people think those of us who live in the Napa Valley spend our days. The truth is, that We drink Coca-Cola, Eat at Applebees and shop at Target. We do the very same things you do on a daily basis, yes, we do have access to all of these great amenities, but most of us just pass them by unless we have out-of-town guests, or a special occasion. When people find out I live here in Napa, they're always asking me for suggestions on what to do, where to stay and where to eat - so I thought I might take a little trip up-valley with you. That way, should you choose to visit our fair valley, you'll know all the "cool" places to go! 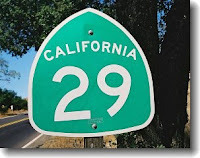 As you begin your travels up California, Highway 29, you'll pass through the town of American Canyon - just keep on going - they claim to be part of the Napa Valley, but it's merely a county-line technicality. Continue North on this highway, past the majestic statue of the grape crusher and over the southern-crossing bridge with lifts you over the meandering Napa River and you're almost there. Just a few more miles up, you'll come to the town of Napa. This is the Napa Valley's largest city and the county seat of Napa County. If you choose to stay the night in napa, there are many hotels to choose from, some of our more upscale accommodations include The Napa River Inn along the banks of the Napa River, The Meritage Resort, a full-scale time-share type resort right beneath the the Grape Crusher Statue, and if you lean more toward chain-type hotels, there's the Napa Valley Marriott, which boasts a new full-scale spa. Need to fill your day?... Feel like shopping?... Visit our Premium Outlets, with stores such as Gymboree and Cole Hann (let's face it though, these are the same outlets you have at home - skip them and go for the real Napa Experience...) Check out the Oxbow Public Market, and right next door is Copia, The American Center for Wine, Food and the Arts. If you're feeling a little hungry and want a quick and fun bite, visit Taylor's Refreshers next door to the Oxbow Market. They have a few locations, most notably the original "drive in" in St Helena, but unlike the original, they have indoor, air-conditioned seating, which in the summer in Napa Valley, you will appreciate. For some fine-dining, try Celadon, Cole's Chop House or Bistro Don Giovanni. There's one more attraction you'll probably want to schedule while you're in Napa, it's the Wine Train. The train travels daily from Napa to St. Helena, along the way, you get to taste wine and enjoy a world-class meal - Just don't expect to see any scenery that you wouldn't normally see as it run parallel to the highway for most of the trip. Your next stop on your tour upvalley is the town of Yountville. 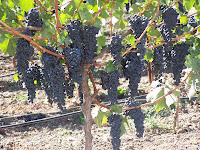 Yountville is a very small town, but has some great things to see. The Vintage 1870 Marketplace boasts small botique shops galore. Stop by Domaine Chandon to taste a bit of bubbly and, if you're hungry, have a fantastic meal there. Yountville boasts other famous restaurants too, like The French Laundry, and Bouchon - these are extremely popular restaurants and you'd be well off to make reservations way, way (like months) in advance. Staying over?... Try The Vintage Inn, or maybe The Villagio Inn and Spa, which boasts a full-service spa with new "Spa Suites". 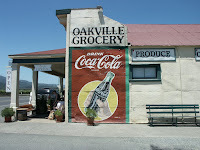 Continue up the road and you'll find places to stop, like Oakville Grocery. Take a tour at Mondavi Winery and learn all about how wine is made from the vines to the bottle. Taste a bit at Cakebread Cellars, Sequoia Grove. Further up the road, stop by Rubicon Estates Winery in Rutherford, where you'll find Francis Ford Coppola's wines. Hungry?... right across the street you'll find the Rutherford Grill - awesome food, but no reservations so be prepared for a wait. Right in the same parking lot, is Beaulieu Vineyard, know by most as "BV" - this is one of the few wineries in the valley that survived prohibition. Make sure you go to their private reserve tasting room and sip a few of the older vintages. While you're there, be sure to drop in on the St Helena Olive Oil Company, where you can taste and purchase some really great olive oils, flavored vinegars and more. If you decide to continue north, you'll very quickly come upon the quaint little town of St Helena. This is where Mr. Pink Lemonade grew up and has evolved from a sleepy little town to a very "tourist-y" place to be. As you approach town, you'll find a few gems waiting to be discovered, like V. Sattui winery, where not only can you taste some great wines, but stop in their deli and grab the makings for a picnic - they've even got beautiful picnic grounds right at the winery! If you're craving something a little more upscale, try Press, the food is fantastic and you never know who you might see (one night, we had dinner two tables away from Joe Montana and his family!). As you go onward up the highway, you'll come to actual town of St Helena, the main draw here, is their main street lined with vintage buildings and filled with boutique shopping. Celebrities love St Helena, in fact, last week, I'm like, 95% sure Tom Cruise crossed the street in front of my car! So after you've done some shoppng and celebrity hunting, you've probably worked up an appetite, try Go Fish, or maybe you're just in the mood for a creamy treat... try The Big Dipper, one block west of main street, across from the elementary school (I can boast that Mr. Pink Lemonade's family started this place and owned and operated it from 1980 until 2002!). Be sure to make plans to have lunch or dinner at Greystone, it's the Culinary Institute of America's California campus housed in the historic stone Christian Brothers Winery building and the food is amazing - but be sure to make reservations way ahead. Feel like staying over?... try the Harvest Inn or the Inn at Southbridge. Ahead lies Calistoga, home to mud baths and famous water. Cruise down Lincoln, the main street and you'll find a plethora of small shops and restaurants. Some of our favorite places to eat are, Brannans Grill and Boskos. 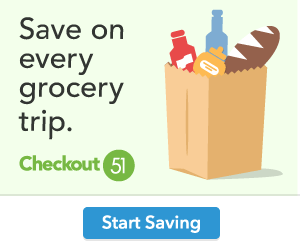 Love Calistoga so much you want to stay over?... Try the Mount View Hotel & Spa or the Foothill House Bed & Breakfast. 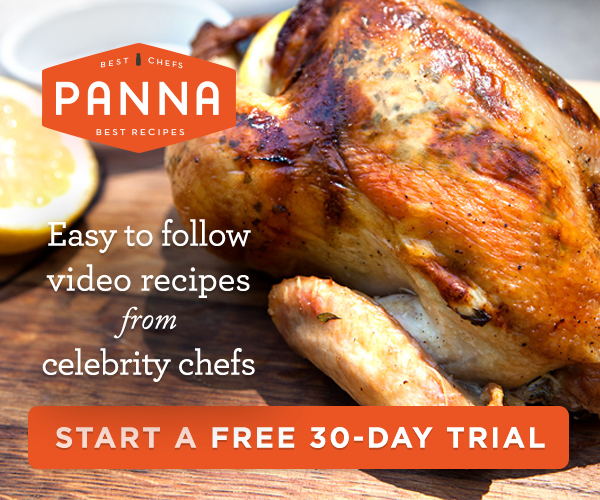 Have some extra time to spare? Check out the Gyeser, the Petrified forest or Safari West. 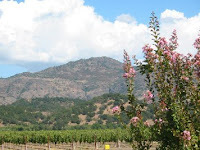 After you're done exploring the Napa Valley and you're ready to head home, be sure to cut over to the Silverado Trail for your return trip, it runs paralell to highway 29 and is less "touristy" - you'll find lots of small wineries to stop at on the way home. So, next time you're planning to visit us here in Napa, be sure to 1. Plan ahead, 2. Be sure to have a designated driver, 3. (this one is important)... Please remember that the highways you are enjoying on your outing are the only ones here in the valley - we do not have big innerstates that bypass the small two-lane highways - please drive the speed limit (not 20 miles below it) because the rest of us have things like doctor's appointments and other places that we must go as a part of our daily lives, 4. Please peruse a map before you head for your next destination - many accidents happen here when people stop short trying to turn into a driveway they didn't know was coming up. 5. Above all, please remember to have a great time! Does leaving a comment on THIS post work for the contest? I love Napa and have not had a chance to visit for a while. Your post reminded me of how much I like it. Schramsberg Champagne Cellars is a place we really had fun. Great suggestions! I particularly like that you give the links to the places. That's what I do at my site also. You've got me in the mmood for ice cream. I love the candle factory in St. Helena. Have since I was a child, and my mom was a nursing student at PUC in Anguin. I know it is less factoryish and more touristy, but I still love going through it for old time's sake.